Paul Anka Spins Pop His Way with 'Rock Swings' One of the surprise critical hits of the summer is a new Paul Anka album. The teen-idol turned Vegas lounge singer puts a crooner's spin on rock classics, covering Nirvana and Van Halen, among others. 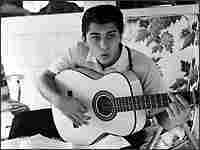 Paul Anka was an established star creating a new image for himself when this 1964 photo was taken in Stockholm, Sweden. 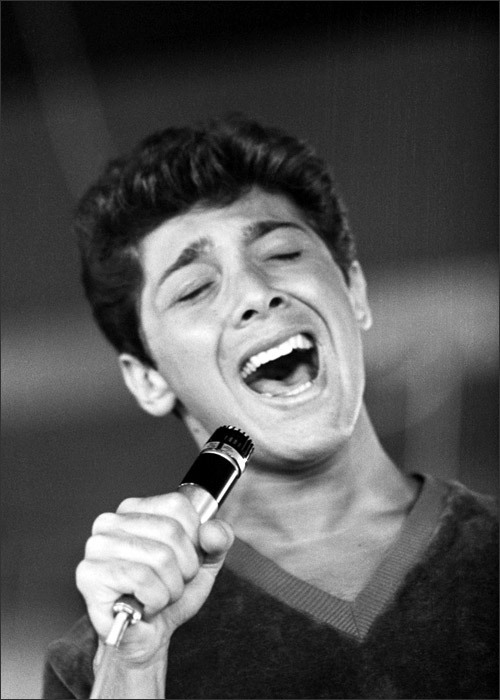 One of the surprise critical hits of the summer is a new Paul Anka album called Rock Swings. 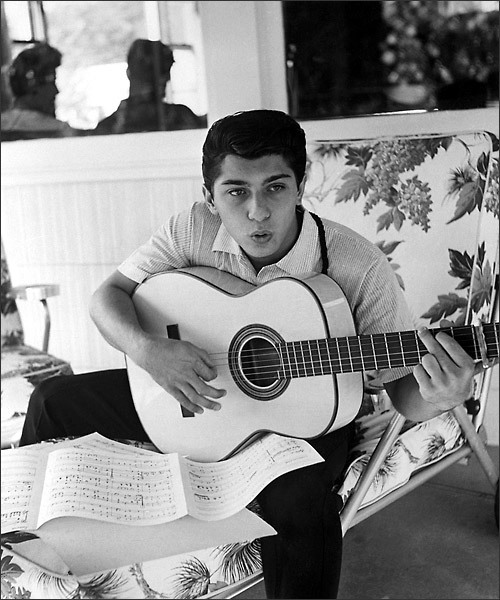 Paul Anka in New York at age 18. He was only 15 when he first tasted success as a singer and songwriter. The teen-idol turned Vegas lounge singer puts a crooner's spin on some latter-day rock classics, including Nirvana's Smells Like Teen Spirit and Van Halen's Jump. This from a man who became famous in the late 1950s for writing and singing the pop tune Diana. 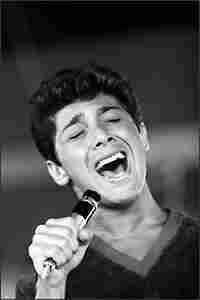 That song was the first of a string of hits that put a very young Paul Anka on the road, singing to screaming fans on tours that included musical contemporaries like Buddy Holly and Bobby Darin. Then the adulation ended abruptly in the 1960s and he reinvented himself as an adult, in the mold of Rat Pack members Frank Sinatra, Dean Martin and Sammy Davis Jr.
Anka, who turns 64 at the end of July, survived the transition and has remained in the public eye, more or less, ever since. When he wasn't making hit records, Anka found some success acting in movies. But it is music where he made his mark. Anka's Diana, Lonely Boy and You're Having My Baby were all number-one songs on U.S. charts. He hit the top 20 with 22 songs, and the top 40 saw him 33 times. In total, Paul Anka has over 900 songs to his credit. Performers from Elvis Presley to the Gypsy Kings have covered his material. Although he is now an American citizen, Anka's successful career earned him a place in the Canadian Music Hall of Fame and a star on the Hollywood Walk of Fame.